In April this year , the GLL Sport Foundation awarded Peter Riches a training award which has provided access to the Guildford Spectrum ice rink for training. According to Peter himself, he has greatly benefited from this award and his Speed Skating performance has clearly reflected this support. 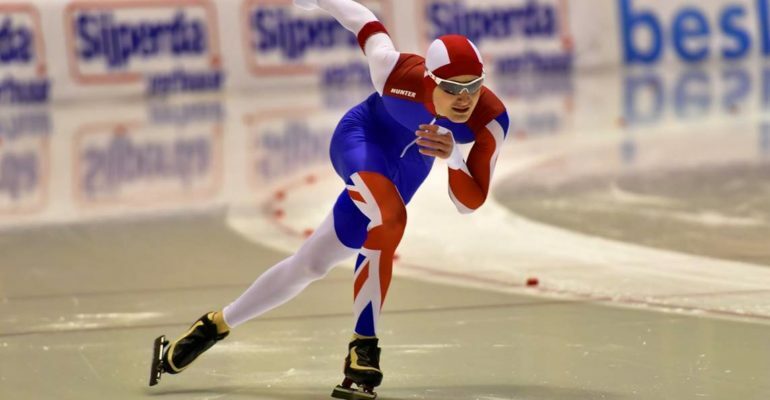 At the start of the year, Peter had won the National Short track skating Championships for the under 16 age group . A few months later he added the National Junior titles in Long track speed skating and finished fourth in the 1000m event at the Viking European champs. This season has seen him continue to develop with wins at the domestic competitions in Scotland and Solihull. He recently came fourth at the Bolzano Star Class event and then broke both the national 500m and 1000m records at the Dresden star class. He has been short listed for short track selection for the European Youth Olympic festival in Turkey in February and selected for the British long track team for the Scandinavian country match in Sweden later the same month. The GLL Sport Foundation is looking forward to seeing how far Peter can go and wish him the best of luck in any upcoming races.